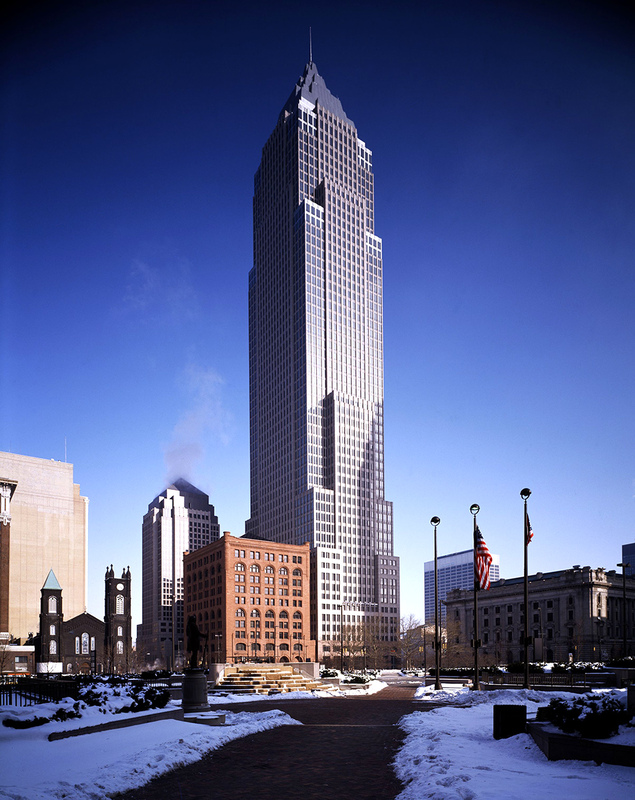 Pelli Clarke Pelli Architects, Inc.
Society Tower, now Key Tower, was the tallest building in Ohio when completed in 1991. 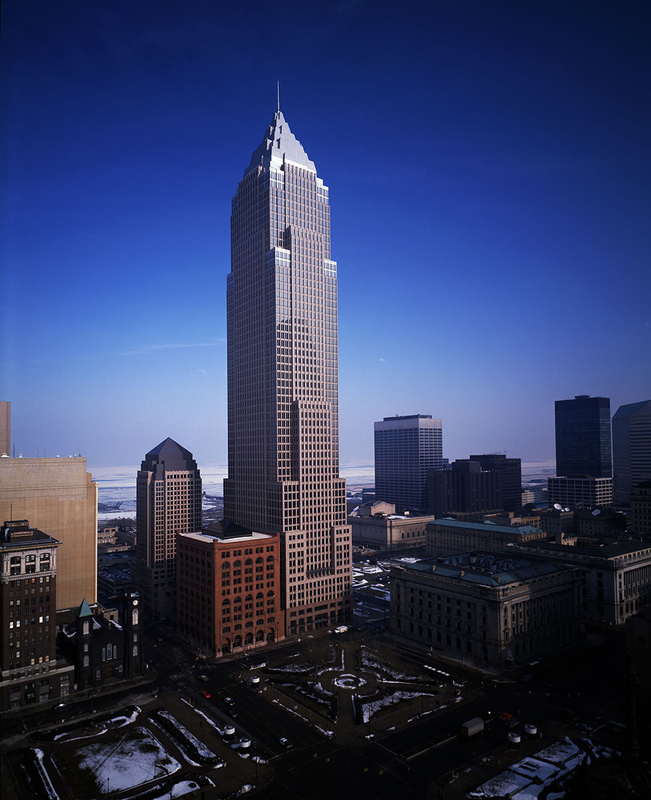 The tower is prominently located on a corner site with frontage on two of downtown Cleveland’s major public spaces, Public Square and the Mall. 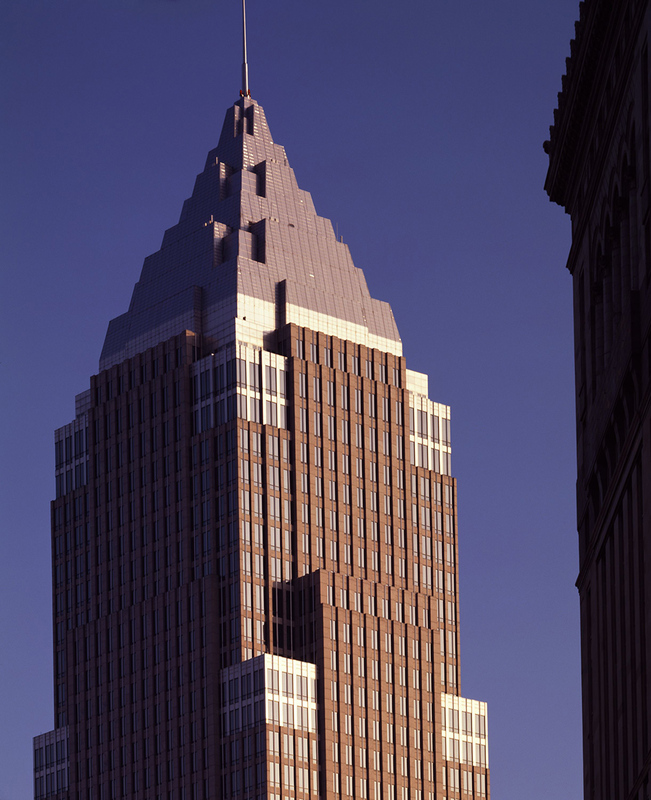 Key Tower reaches 62 stories or 947 ft (289 m) to the top of its spire, and the shimmer of its stainless steel roof can be seen up to twenty miles away. 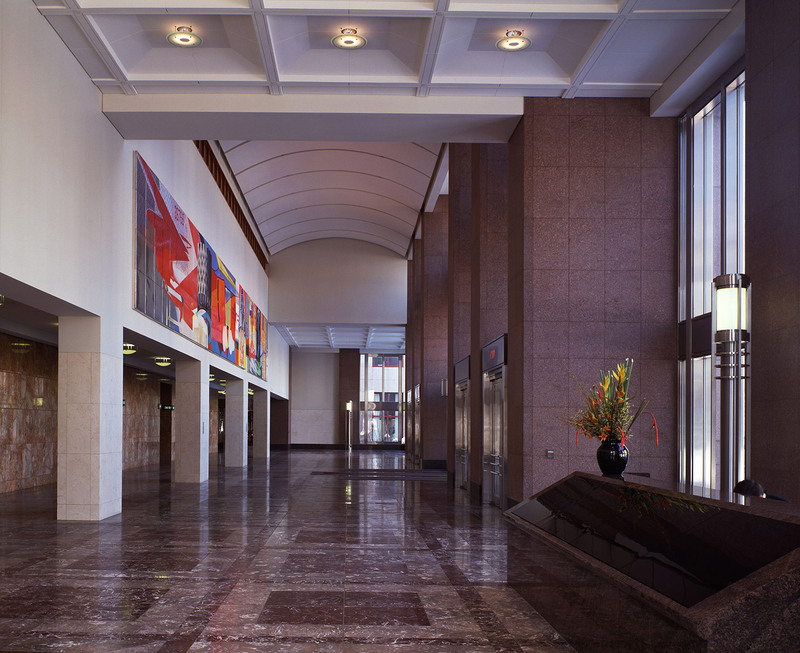 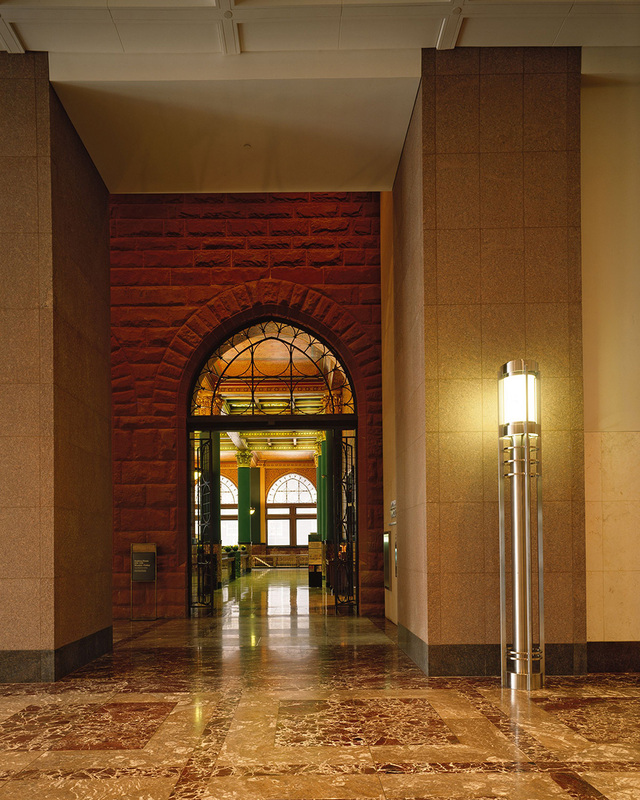 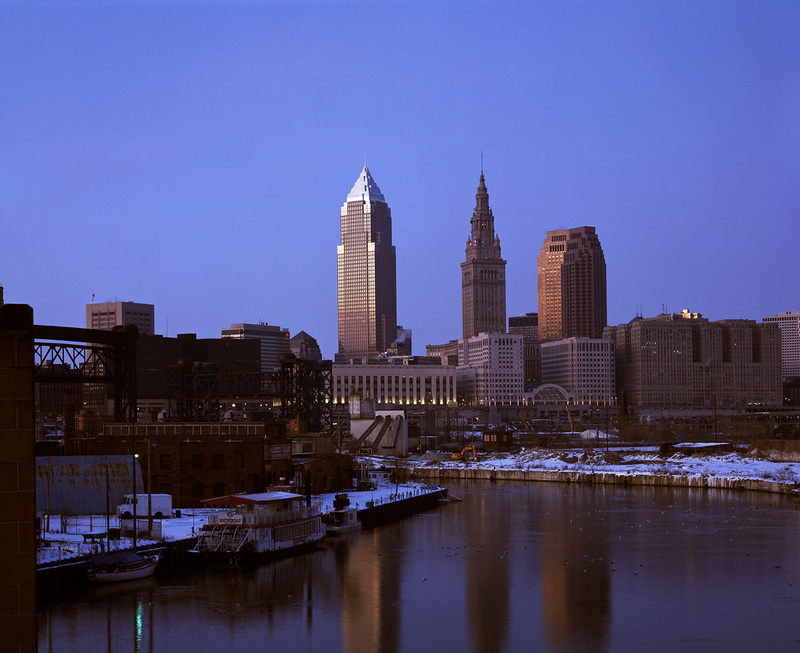 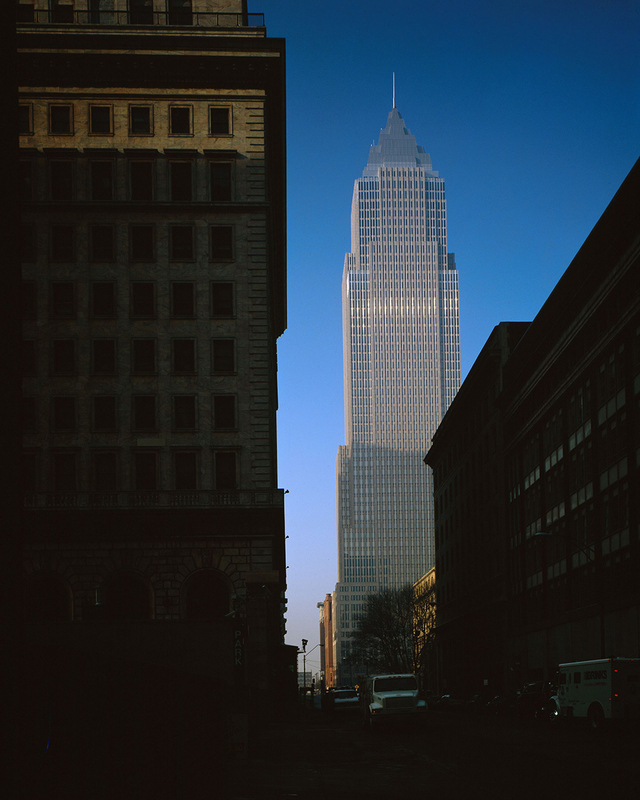 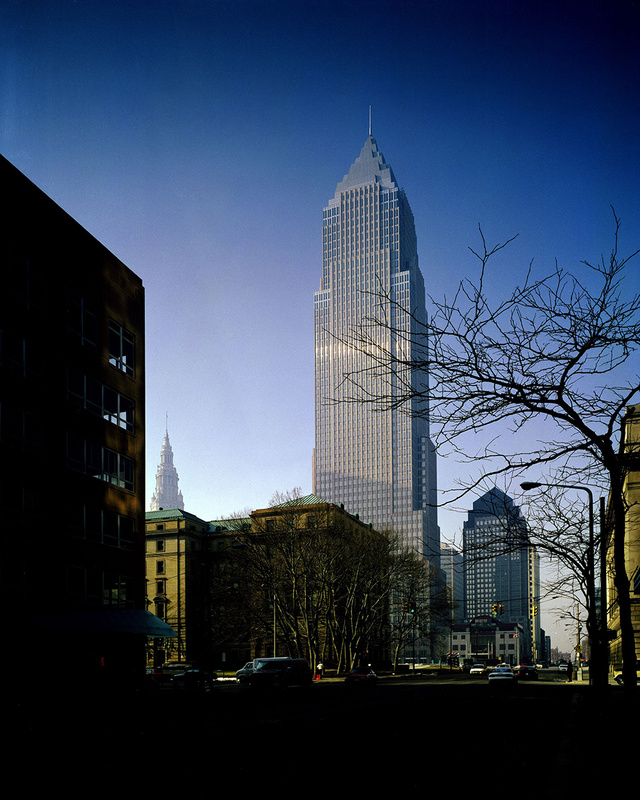 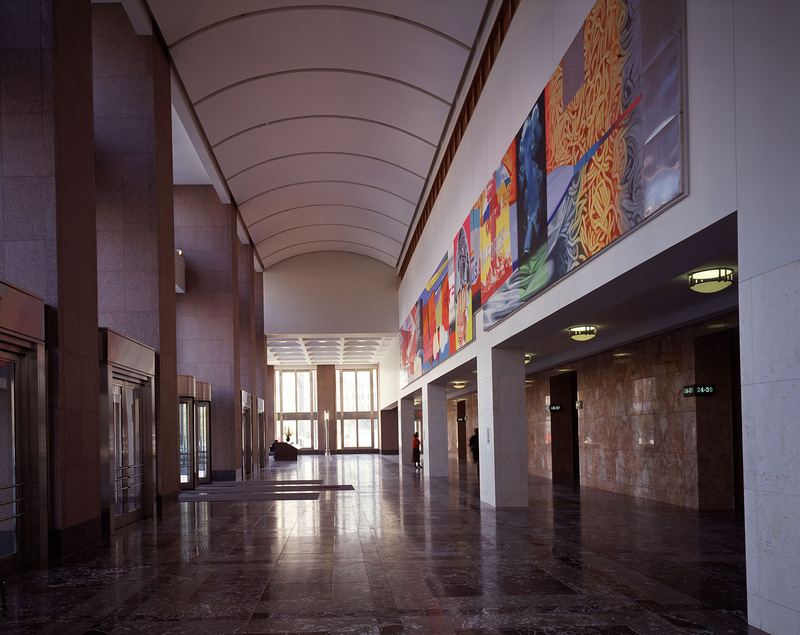 The project, along with the simultaneous renovation of an adjacent historical structure as a banking lobby and a new Marriott Hotel, was instrumental in the urban revitalization of downtown Cleveland in the 1980’s.